Getting to action is one of the harder and rarer things in life. In a given day, I hear lots of ideas. Everyone has them. And there’s something about the sound of our own voice that must comfort us. We like to talk, partly to clarify our thinking, and partly to be heard. I think that moving from ideas to execution is hard for most because there are obstacles. We often have obstacles from the lack of attention to the details of our work and life. And it creates opportunity costs every day if we fail to address them. Then execution becomes harder or even delayed because there are some forces, seen and unseen, working against us. If you want to move the ball in your work and make execution effortless, then there’s some things you have to be vigilant about. Here are some strategies if you are serious about improving your execution. We all have our iPhones and Androids handy. When you hear an idea or read about something that can have an impact, capture what you are going to do in a checklist app. I like GoTasks synced with my Google Tasks. This means you have to download the app, set it up and make it easy for yourself to capture. Set it up and practice the habit relentlessly over the next 3 days. It will change how you execute. You have to continually be in purge mode with what is coming into your world. If you don’t know how to handle your inboxes, then take a couple hours and read my book, ZeroInbox. You can fix the information problem forever. And it’s worth it. Why struggle with it for years to come when you can nip it now? Then you will have the space to be ready for anything that comes into your world. If you can’t see or think clearly because you aren’t set up well for knowledge work and information flow, then you can’t execute well. Committing can take a lot of forms. If you are on a team, share your action list with teammates or a boss to keep you accountable and motivated. Commit to your customers when you will have something done and what it will be. Sign up for an event. Pay the money. When you commit, you emotionally vested yourself. And the work has a higher likelihood of getting done. The consequences of embarrassment or harm to your reputation will compel you to action. This is what I love to do in my down times. You have to be observant continually. There’s always room for less. You can see systems you might have used years ago that are still there in your apps library. Get rid of them. You might see information that needs to be archived or hardware that will never be used again. These are all obstacles to your vision. They take up thought energy and distract. If you keep removing obstacles, the mental space to think, clarify and execute becomes much easier. It is a way of automating yourself that will continually to pay dividends in your output. 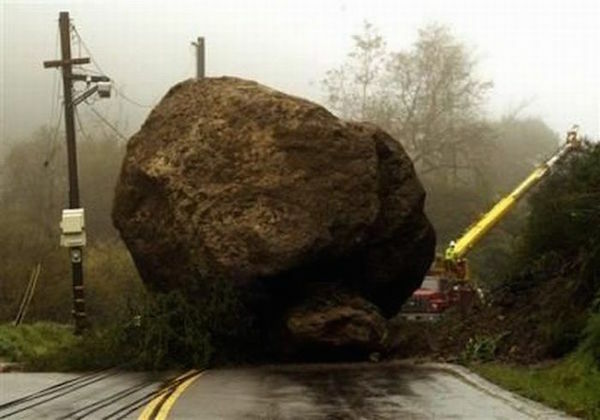 What obstacle can you remove right now?